In Poland, the destruction of monuments to the Soviet soldiers who drove the German Nazis out of the country in 1944-1945 has filled the cup of patience of Russian authorities. In fact, since the first non-communist government came to power in Poland in 1989, Moscow tried not to overreact to “the war with the past” that gradually became more and more bitter in Poland. Moscow did not protest when Russian language studies were terminated in Polish schools, with thousands of teachers of Russian literature suddenly becoming unemployed in the 1990s. 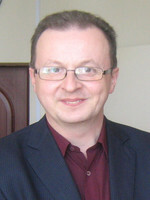 Moscow considered it an internal Polish problem, when under the so-called 'lustration' not only politicians, but also university professors and secondary school teachers were thrown out of work or had their pensions cut to existence-minimum in case of a slightest suspicion of working for the “repressive” communist regime. But now the problem has become impossible to ignore. In July, the Polish President Andrzej Duda signed a new version of the decommunization law, which ordered the removal of not just communist symbols (such as hammers and sickles), but also of statues, busts and any other objects preserving the memory of anyone connected to the communist regime. The Red Army’s soldiers, who were often buried under the monuments bearing communist symbols (such was the Soviet tradition) lost the remnants of their immunity and memory to government-sponsored vandalism. However, a lot of Poles, representatives of a nation that has a real cult of the dead, especially of the fallen soldiers and victims of political repressions, have uneasy feelings about this kind of attitude to about 600,000 Soviet soldiers lying in Polish soil – the majority of them killed in the fight against German Nazis. The verbal war between Russia and Poland is in full swing now. In September, the Polish authorities destroyed a mausoleum for the fallen Soviet soldiers in the town of Trzcianka. 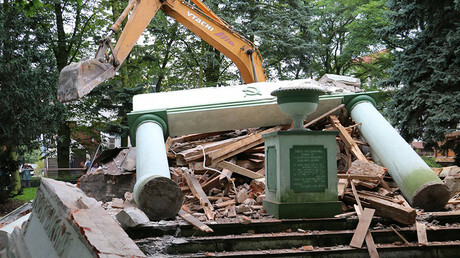 The bulldozers ignored the plaque which said that the remains of Soviet soldiers killed in the local battle with Nazis in the 1940s had been buried under the mausoleum. The classical-style building with columns and other architectural ornaments was razed to the ground. Earlier in 2017, the monument to the famous Soviet general Ivan Cherniakhovsky was brutally dismantled in the Polish town of Penezno, with the general’s head caught by cameras hanging in midair inside a sling pulled by a crane. Of course, Russia will not resort to violence, and the Russian government is not going to take its revenge on Polish memorial sites inside Russia, even though the Polish press and academia are full of ominous predictions on the matter. After all, it was none other than Vladimir Putin who in 2010 visited the main Polish memorial in Russia and laid a wreath of flowers there. That year, Putin visited together with the then Polish Prime Minister Donald Tusk the graveyard and museum at the site of the execution of Polish POWs by Stalin’s secret police near the village of Katyn (Smolensk region). 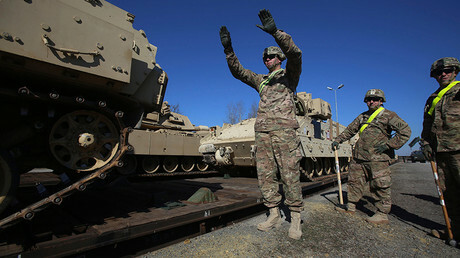 In fact, Poland may punish itself, without any need for Russia to interfere. The constant search for the mythical Russian agents, mutual accusations between politicians of being 'pro-Putin' and the destruction of the 'communist' part of Poland’s twentieth century history – all of these actions since 1989 have already led to bad rifts inside of Polish society itself. Miller, an experienced Polish politician, is right to see political struggle behind the “war on monuments.” Indeed, the destruction of Soviet monuments looks more and more like a part of a big plan of rewriting history and remaking the consciousness of Poles. Obviously initiated by the US and the European Union in the 1990s, to this plan was added a radical nationalist face lift that went badly wrong in the last few years. The stated aim of the authorities was to bring back to Poles their non-communist history and to rehabilitate the historic figures which were demonized in the Polish People’s Republic (such as the nationalist general Joseph Pilsudski, Poland’s right-wing strongman of the 1920s and 1930s). But since the early 2000s, changes in history textbooks and on city squares turned more and more against Poland’s neighbors – Russia and Germany. Poland was declared an innocent victim of its neighbors, who must permanently apologize. Thus it was no coincidence that the destruction of Soviet monuments coincided with a Polish demand of compensation for the Nazi invasion from the current government of Germany. Things got completely out of hand, when the crudely xenophobic Law and Justice (PiS) came to power in Poland, defeating the Polish liberals at the election of 2015. Just recently, plans were unveiled to erect statues all over the country for the late president Lech Kaczynski, a co-founder of PiS, who died in 2010 in an air crash of his presidential plane near the Russian city of Smolensk for a mourning ceremony in Katyn. Now the late Kaczynski is lionized by the PiS establishment as a victim of some Russian conspiracy, so having his monuments next to statues of Russian soldiers would indeed look embarrassing. Trying to prevent embarrassing questions, the Polish officials keep stressing that they destroy monuments, and not cemeteries. But when the PiS-appointed Polish ambassador to Russia Wlodzimerz Marciniak remarked that the memory of Soviet soldiers would be even better off with cemeteries, but without monuments, his explanations were not accepted. In fact, Marciniak sounded more like a hypocrite than a person concerned with preservation of history. The truth is that Lech Kaczynski bears a part of responsibility for the tragic death of 95 people inside his presidential aircraft. Polish and Russian investigators later established beyond doubt that the plane crashed because of the crew’s decision to land at all costs. The decision was most likely taken under pressure from Kaczynski, despite appalling weather conditions. But the current Polish leadership, unofficially headed by Lech Kaczynski’s brother Yaroslav, denies any responsibility of Mr. Kaczynski. Instead Yaroslav Kaczynski and his aides are accusing the liberal Tusk and the Russians of being somehow involved in the crash or even of masterminding it by creating artificial fog, putting explosives on the plane, etc. The Russian side and Mr. Tusk of course deny any such accusations. A thousand other conspiracy theories have been invented, much to the dislike of the EU officials, who are always happy to discuss such theories about Russia, but are loath to hear them about their boss Donald Tusk, who is now the head of the European Council. “I used to live in Warsaw in a place which was named in honor of the defenders of Stalingrad,” Wojciech Domoslawski, an activist of the Polish Civic Congress, wrote in his letter to the Moscow office of the Russo-Polish Center for Dialogue. Unfortunately, the monuments to Soviet soldiers are falling victims to this ‘war of memories,' which was not started by Russia. And honest Polish people are regretting this fact.